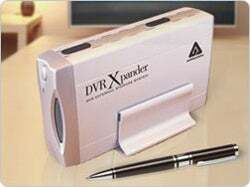 DVR Xpander Grows To 1TB For More Episodes of "The Office"
Earlier this year, a 500GB version of the DVR Xpander was released to the joy of those blessed with a common Scientific Atlanta 8300 series box. Using an eSATA connection, the DVR Xpander acts as an external hard drive that allows the user to dramatically expand the amount of space available for recording video on their DVR. The new 1TB version released today offers as much as 125 hours of extra recording time for HD video or 562 hours of standard-definition video.